Many may recall the controversial “robo-signing” controversy of the past couple of years. The nation’s big banks were illegally putting foreclosures into motion and soon, both federal and state investigations were kicked off. Now, though, an even bigger scandal might be brewing – and it has to do your credit cards, especially if you’re a Chase credit card user. 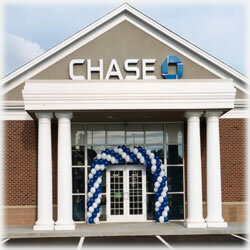 Chase’s current pullback raises at least the possibility that at least some banks may have documentation problems in other business lines. That’s not all the credit card company is doing in droves; it recently began firing employees in the debt recovering department. In fact, entire teams are being fired around the country. Those decisions haven’t been addressed, either. JPMorgan Case refuses to comment on its peculiar decision making process. Still, there are those who are wondering if perhaps a proactive approach is being incorporated in an effort of having to avoid questions of validity in the lawsuits. Not that it would prevent any repercussions for past decisions, of course. Still, there are those who insist the bank must be losing a lot of money due to its sudden abandonment efforts. After all, the company recovered a total of $1.4 billion on defaulted credit-card loans in 2010. Plus, these court cases are easy enough for banks to win; first, they’re very much aware of how the process works, which often gives them an edge over defendants. Statistics show credit card companies win as many as 90% of their cases. Of course, the fact that during a federal whistle-blower complaint filed last year, a former vice president at JPMorgan who worked solely on sales of overdue credit-card loans, alleged that bank employees robo-signed paperwork used to seek legal judgments against card users isn’t helping matters, either. Linda Almonte, the once-confidential whistleblower, said that many of JPMorgan account holders owed less on their cards than the company claimed, and that some customers who were facing legal action had paid their card obligations in full, therefore negating the need for any kind of lawsuit. JPMorgan quietly settled the suit, in which Almonte said she was discharged after revealing to the bank that it was missing key legal documents required to sell credit-card debt to third party companies. She was fired in the early summer months and after a regional court refused to drop the lawsuit. dropped more than 1,000 lawsuits nationwide aimed at collecting delinquent credit card loans. Reasons cited included fraudulent (or “sloppy” at a minimum) documents that were used to prove JPMorgan had the right to proceed with the cases. One judge said that these efforts were common, even more so than in the infamous foreclosure cases and said it’s a significant and widespread problem in the credit card industry; yet, it receives little, if any, attention. So – the question remains: why would a major banking entity walk away from $100 million each quarter by rescinding all of its credit card collections? The bank’s collections are down at least $266 million. Is the fear of legal repercussions the driving force? Or is this an effort, albeit late one, to help a tarnished reputation? Currently, there are no investigations on the federal level, but there are attorneys general in several states who are targeting various debt collection practices, including robo-signers. One insider stated that if a bank the size of JPMorgan is found to be operating fraudulently in its efforts, the repercussions for the financial sector as a whole could be “enormous”. Remember, the mortgage robo-signing scandal wasn’t just a “few” rogue employees: it was widespread and affected hundreds of thousands of homeowners. Time will tell, of course, but the quiet step back is raising red flags everywhere, which could expedite any investigation, were it to occur.